The Proihof farm in Villnöss is surrounded by meadows on a sunny hillside high above the valley. Comfortably furnished guest rooms are located in the guest house of the farm. 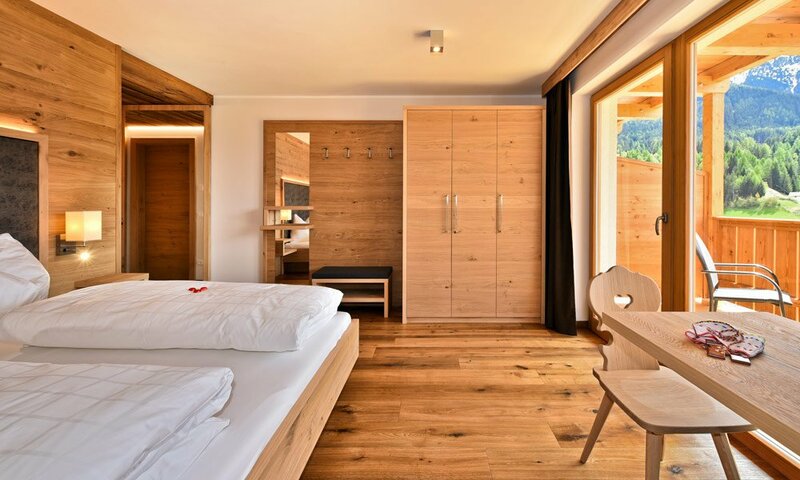 For the interior a lot of wood was used, which gives a cozy atmosphere to these rooms. 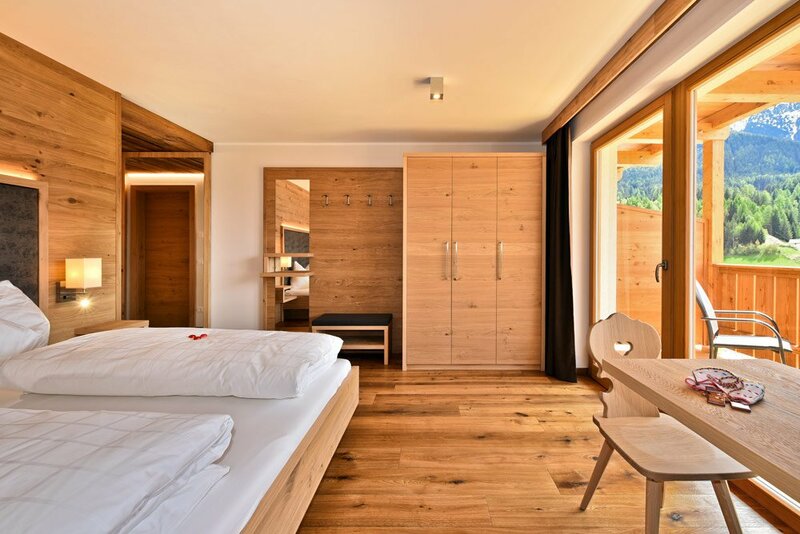 Enjoy your stay in the Dolomites in a room with breakfast. 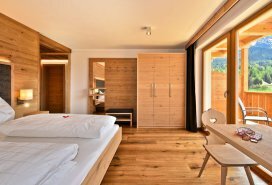 A bathroom with shower toilet and hair dryer is provided on site, as well as a TV with satellite connection. 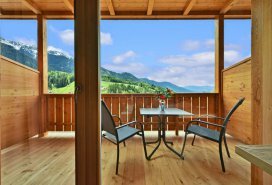 In the rustic lounge you enjoy your breakfast in the morning, while in the evening this common space invites to an entertaining get-together in friendly company. 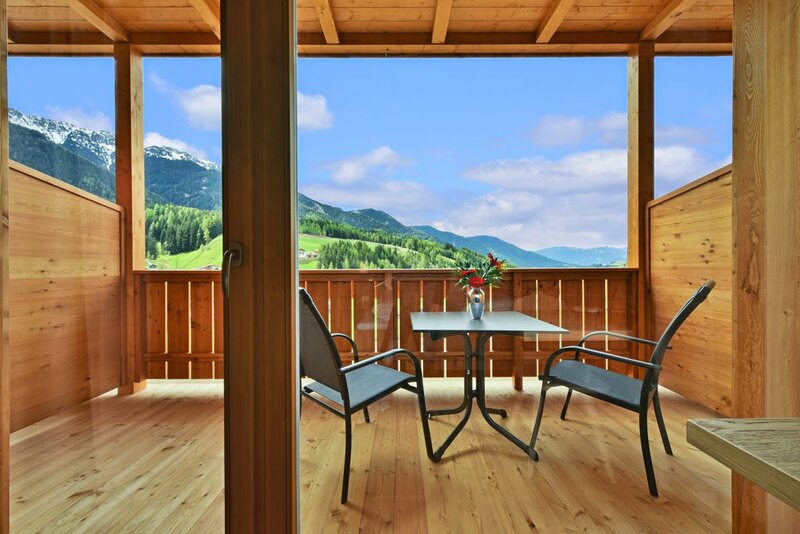 Rooms with breakfast are an ideal base for exploring the unspoiled and pristine Alpine region of Villnöss valley. 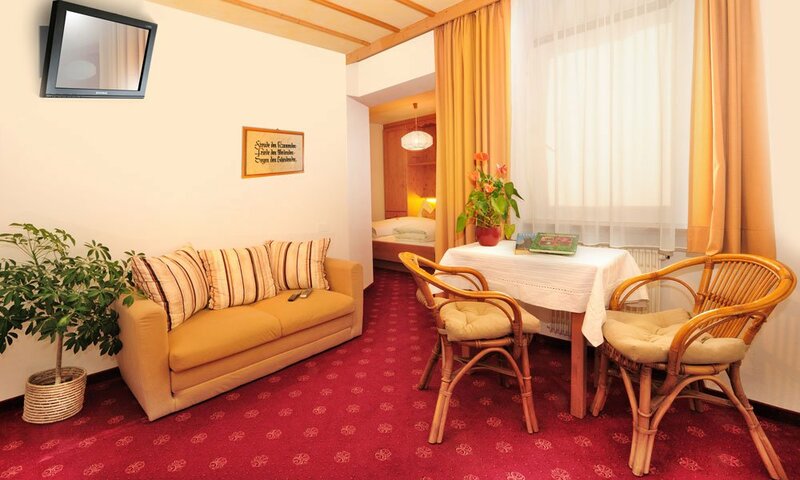 Over a surface of 24 m² you will enjoy a pure homely sensation. 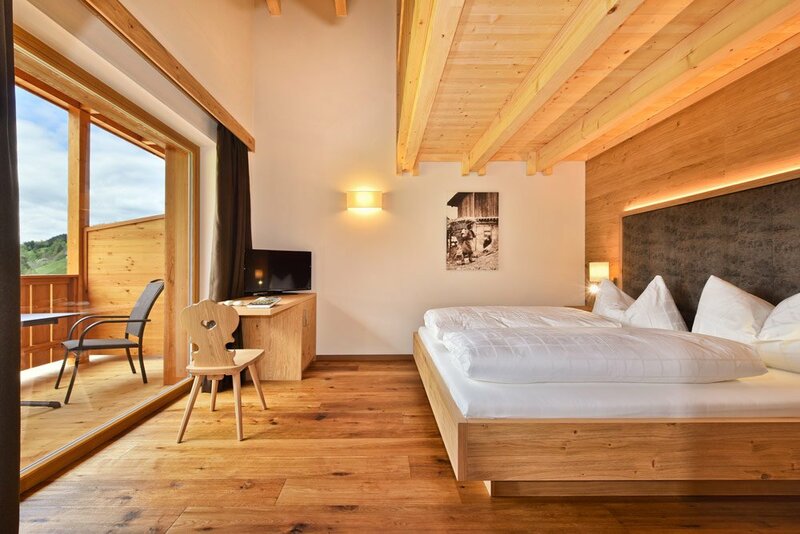 These double rooms are built with traditional alpine materials and have a contemporary charm. The equipment includes, besides oak flooring, a comfortable study desk, a 32-inch TV, safe, and WIFI. 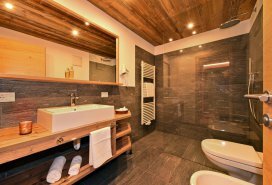 The bathroom includes a big shower, WC/bidet, hair dryer and a bath cabinet with many storage units. The floor plan of the room is available here. 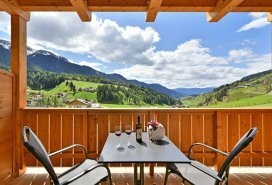 Beautiful new double room (20 m²) with balcony and panoramic view over meadows and woods. 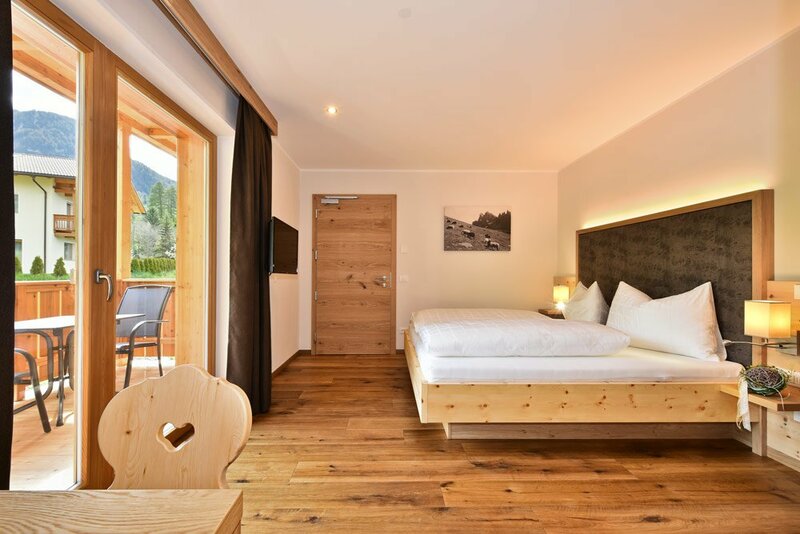 Equipped with high-quality furniture made with traditional alpine material and wooden floors, this double room offers a particularly comfortable atmosphere. The equipment includes a 32-inch TV, safe, study desk and WIFI. 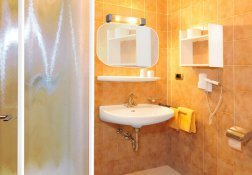 The bathroom includes shower, WC/bidet, hair dryer and a bath cabinet with many storage units.